Fall is officially here; according to the calendars, it happened on September 22nd. While there still may be those few days of Indian summer where the heater's on during your drive to work and that sweater you wore in the morning will give you heat stroke on your way home, it's no doubt that the cooler weather and color changes of the leaves are quickly upon us. Everyone looks forward to this time of year... whether it be the younger crowd losing it over leggings and everything involving "pumpkin spice" flavoring, to the more adult prospects of football, like those cool, Friday night lights that get everyone excited. In either sense, we're prepared for the season. 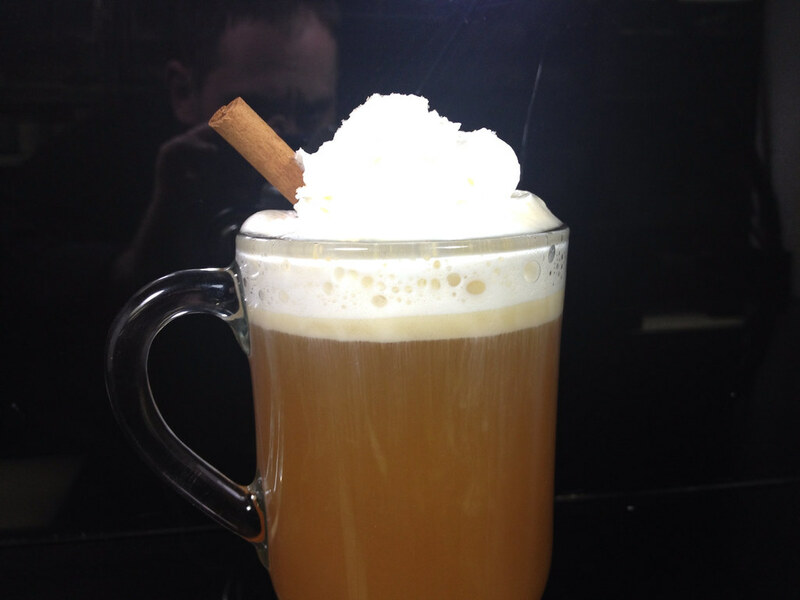 Our warm fall drinks are sure to get you in the mood for cooler weather, whether you like it or not. Like at most high school football games they sell hot chocolate or warm spiced apple cider, by why not kick it up a notch (that's right, there's an Emeril shout out in here) by adding a little liquor for the older crowds? Obviously doing this at the stadium can result in a hefty drinking ticket, plus they're not as good as they are served at the Uptown. First off is traditional hot apple cider with dark rum. A smooth, spicy concoction that will warm you to the bone after those chilly fall evenings. Or the ever classic peppermint patty? Our gourmet Ghirardelli's hot chocolate is mixed with peppermint schnapps for a warming delight, perfect for any occasion. For for those of you looking to be adventurous, we will have the hot salted butter rum cider... a perfect blend of maple syrup, hot apple cider, rum, and a dash of salt for a unique twist on two traditional favorites. While these won't be the only drinks on our menu, they're sure to be crowd pleasers during those colder moments under the Friday night lights... or any other night for that matter. But the season for the cider doesn't last forever, so stop in and see us soon. We're even open late night for you game-going late nighters!